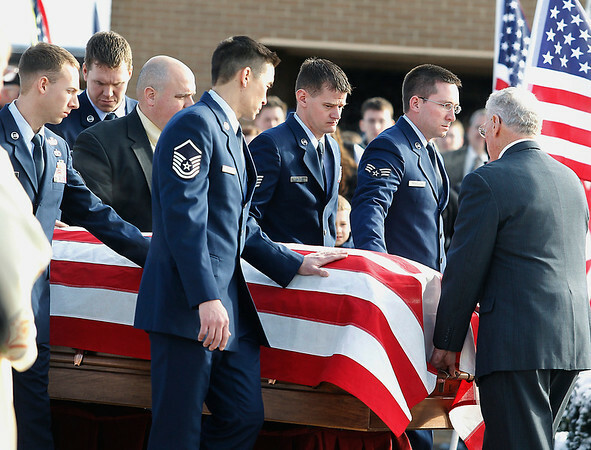 Pall bearers lead the casket of United States Air Force Tech. Sgt. Matthew Schwartz out of Christ the King Catholic Church in Acme on Saturday following funeral services for the 34-year-old Traverse City native, who died in Afghanistan on Jan. 5, 2012.